This was my first ever attempt at making bread and it went so well! It was so incredibly simple and so delicious that I will 100% be making these again! They taste like a chewy cheese puffs, made with tapioca flour. Tapioca flour for those of you who don’t know is gluten free which is awesome because that means that if you are gluten intolerant you can enjoy this as well! 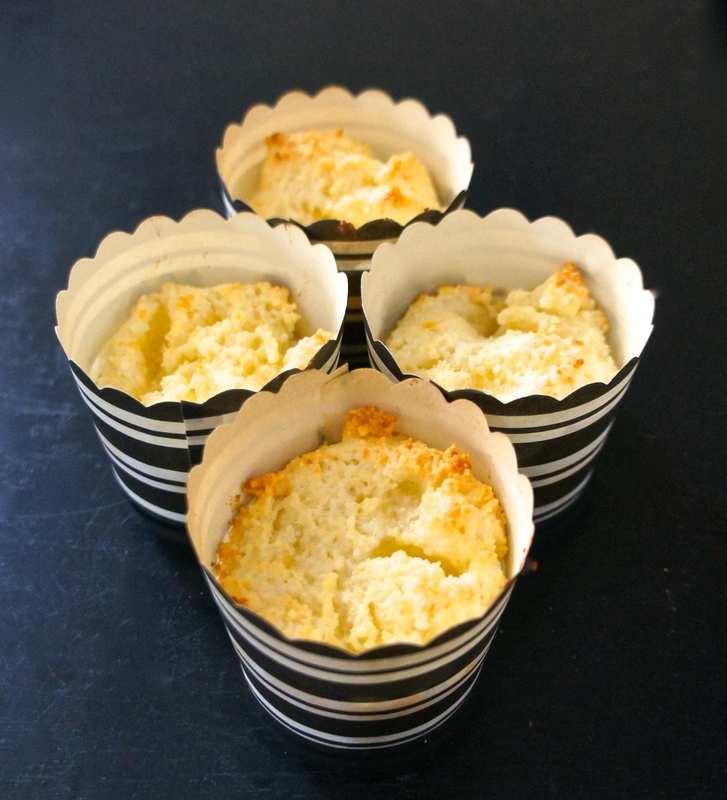 I made this bread in a large muffin tin, since I did not have any small muffin tin on hand, but they worked out really well and are the perfect size as a side dish to add to soups and chili, ripped into small pieces on top of a salad, or even just plain they are DELICIOUS! The cheese is all melted on the inside and they have a nice mild flavour, with hints of wonderful goey melted cheese. Sounding good yet!? 2. Add all of the ingredients to your food processor or blender and blend on high until nicely combined. 3. Add into your mini or regular sized muffin cups. Put into the oven for 15-20 minutes. They should puff up in the oven and become lightly browned. 4. Remove them from the muffin tins and enjoy while they are warm. These keep for a very long time in the freezer and up to 2 weeks in the fridge.